Russian businessman and founder of the MMM Pyramid scheme, Sergei Mavrodi, is dead. 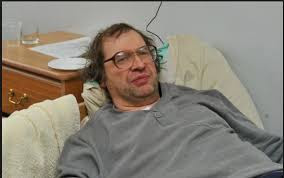 According to Russian media, Mavrodi whose MMM pyramid scheme deprived millions of Russians their savings in the 1990s, died of a heart attack. Radio Free Europe/Radio Liberty reports Monday that the 62-year-old was rushed to the hospital late on March 25 with pain in his chest and died several hours later. In January 2017 MMM Nigeria reopened. Also, on February 11th the company announced the lifting of the withdrawal limits on 2017 mavro. Investors were angry because of the delayed, and unfulfilled payments and some people left the scheme. The investors who stayed loyal to the company were given assurance of getting back their money.